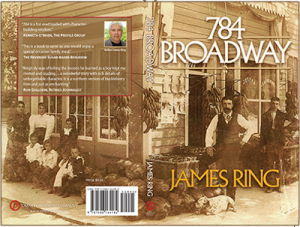 In 784 Broadway, author Jim Ring brings to life his immigrant Italian heritage through a delightful retelling of summer visits to his family’s small greengrocer store in Kingston, New York. When we meet Jim Ring, circa 1950, he is an eight-year-old who, with his brother Dan, can’t wait to surprise his great uncles with the family’s arrival at the Joseph Garbarino greengrocer store located at 784 Broadway since 1894. Ring’s stories, rich with humor and wisdom, span nearly three decades and are an impressive chronicle of small-town life in the iconic Hudson Valley, including the family camp near the Ashokan Reservoir in West Hurley and a camp on the Hudson River. Al-Qaeda, under new leadership in Yemen, targets two US cities for coordinated attacks to be executed by two cells of resident US citizens. These cells are led by a bomb expert known only as The Engineer. Al-Qaeda intends to shred a fragile US economy and destroy citizen confidence in the government’s ability to protect them. al-Qaeda asks the Sicilian Mafia to smuggle a container into New York City. Sicilian sources believe it contains arms, explosives, and nuclear material. The Mafia agrees to the shipment but only to learn enough about the attacks to prevent them. 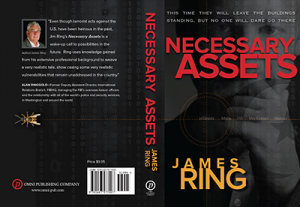 On this website you can take a look at my novel Necessary Assets – an international terrorist thriller – with a five-star Amazon rating, and find out more about my recently released family remembrance of 784 Broadway, by clicking on the links in the blocks above. You can also purchase an inscribed copy of either book through the publisher or select other listed purchase options. You can follow my blogs on a variety of topics, use the Facebook or Twitter links, or contact me directly with your comments or questions.